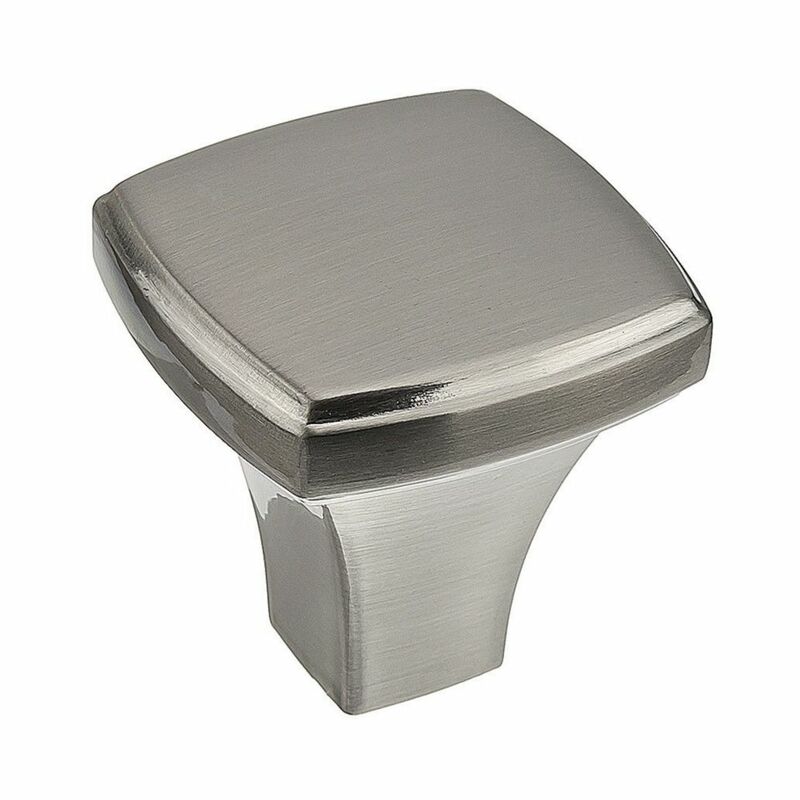 Transitional rectangular Richelieu knob will transform your kitchen cabinets. With beveled edges and a tapered base, this product is available in a variety of other finishes. Enhance the appearance of your furniture and home dicor and make a statement with this contemporary knob by Richelieu. Features a trendy finish and refined rectangular design. Contemporary oval knob by Richelieu. Subtle detailing of knob and shaft provide a nice accent to classic kitchen and bathroom furniture and dicor. Classic oval metal knob. The surface of this knob features a discreetly raised band which allows this product to integrate into any kitchen or bathroom dicor. Transitional Metal Knob Brushed Nickel - Prévost Collection Transitional rectangular Richelieu knob will transform your kitchen cabinets. With beveled edges and a tapered base, this product is available in a variety of other finishes.